We all know that some people are closer to their pets than they are to family members. 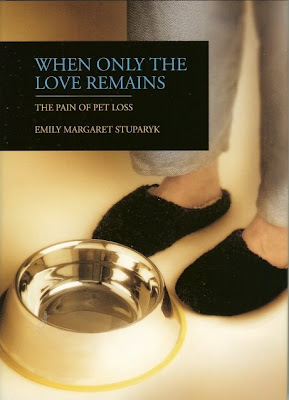 When those pets die, there is real grief and a real need to acknowledge the loss and memorialize the loved one. Many people keep their pet's cremated remains for burial along with them when they die. Should this be allowed in a 'human only' cemetery? This is an issue that I'm sure we'll hear about more and more. 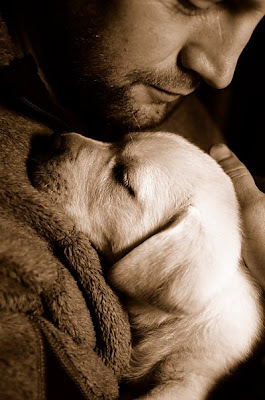 Forget the notion that dogs are man's best friend. 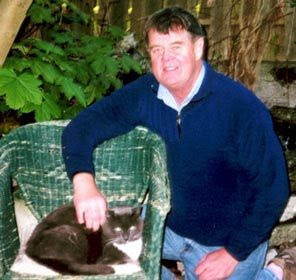 To Sen. Ken Jacobsen no dog could compare to his beloved cat, Sam. So when the spunky 23-pound family pet died several years ago, Jacobsen was left wondering what to do with him. "I realized Sam would have wanted to be buried with my remains, right in North Seattle," Jacobsen said Tuesday. The idea first started as a joke, but when Jacobsen later decided to see if humans and pets could be buried together, he discovered it isn't allowed in cemeteries meant for humans. This week, the Seattle Democrat known for proposing quirky legislation filed a bill, Senate Bill 5063, that would prevent cemeteries from rejecting animal remains and allow the commingling of human and pet remains. The legislation only covers dogs and cats — a limitation Jacobsen said he hoped would increase the bill's chances of approval. State law currently defines a cemetery "as a place used or intended to be used for the placement of human remains" — implying no pets allowed. The only way to be legally buried alongside your four-legged friend is to have your ashes interred in a pet cemetery. Louis Clarke, owner of Pethaven Cemetery in Kent, thinks the bill is a good idea. The cremated remains of more than 20 people have been buried at his cemetery because the deceased wished to be with their pets. "Sometimes people ask for their ashes to be mixed in one urn — that's how connected many people feel to their pets," Clarke said. One gravestone of human and pet remains in the cemetery reads simply, "I loved my pets." But David Bielski, who owns human and pet cemeteries in Aberdeen, was shocked when he heard about the bill. "Pet's are family — but they're different," Bielski said. "This bothers me a lot. I think that's opening a whole can of worms that people don't really want to get into." Would cemeteries have to set aside a place for pets, or would pets be buried alongside their human friends? he asked. The bill would allow either option. Bielski was particularly taken aback about the idea of placing the remains of dogs or cats in the same casket or urn as humans. "I have a real problem with that," he said. Other opponents were concerned about diminishing the dignity of human remains, and the fact that those who have died wouldn't have any say in whether a family pet would later be added to their grave. Two years ago, Jacobsen sponsored a bill that would allow bars and restaurants with liquor licenses to welcome dogs, as long as the canines accompanied their owners and remained leashed. That bill died in the Legislature. On Tuesday, he talked about the deep emotional bond formed over the 11 years Sam the cat was his pet. "Some days after coming home from Olympia I felt like he was the only friend that liked me — he never got mad at me," Jacobsen joked. When Sam died, he buried the cat in his backyard. If God's house "has many mansions", I'd have thought that cemeteries ought to, too -- a mansion for those who want to be interred with their pet. It seems that those who approve and those who don't speak from a strong visceral viewpoint, whatever reasons they adduce. Is God really mocked by this practice? It all says so much about our relationship with our dead and with our own remains. This is hotly debatable territory. A case, surely, for each respecting the wishes of the other? I'd like to think so. It's not as if those who want to be interred with their pets wish to require those who don't to be interred with theirs! We're having to read hard to keep up with you these days, Patrick! I thing the time for laws to change as people have changed towards their pets having them buried with them. Society and the laws should change to reflect the new wave of how people feel about their pets.